In Molly’s third and final post, she shares the rest of the elements that make up her Mastery Based Learning System. 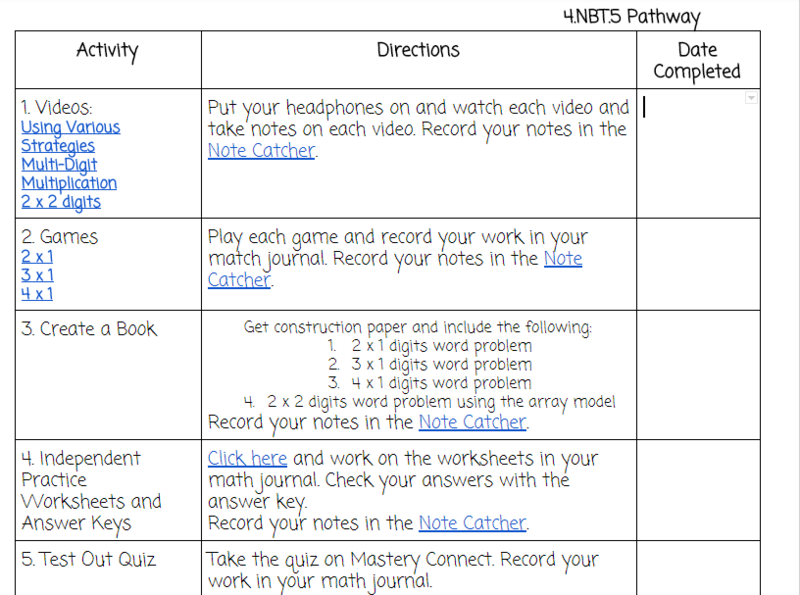 If you want to catch up on why Molly decided to use this system, and the first set of essential elements, check out her previous two blog posts: Students Drive Their Learning: What Is A Mastery Based Learning System? and The Building Blocks Of A Mastery Based Learning System. I create modules by standard that house all of the pathways and resources students can use at anytime -- even at home. I link a lot of items from the Google Drive so students can also make a copy and create a folder to organize their own items. I’ve also uploaded Educreation videos to these modules so students can also hear my voice teaching to them, too. The Canvas modules take time. You can share modules in the “Commons” so you could divide and conquer making these modules with teammates and then share them with each other. Students have utilized these at home and enjoy having an area they can go to and learn about a skill they have a question in. 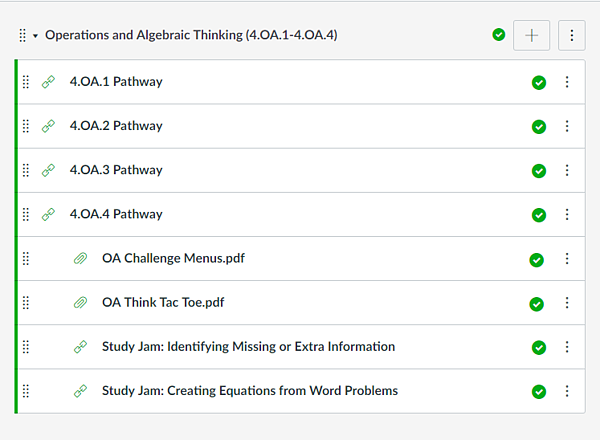 I tell students that even if you are not working on that skill on your math contract, you can still use all of the learning materials in the modules. This is also great because after an exit ticket, you can quickly assign a module to a student to review material while you pull a small group! SECRET #5: Organize by skill, maybe not the standard. For example: “Multiply Fractions” instead of “4.NF.4” Sometimes students would totally go to the wrong standard because they read the letters wrong. Oops! The most exciting part of it all! PATHWAYS! If you haven’t joined the Pathway Party, you need to join NOW! Time consuming, yes? Rewarding, YES!!!! Creating a pathway for each standard took me around 2-3 weeks. But, you keep them forever and can always tweak them. Pathways has transformed my whole teaching career. I used to run out of time to work with my high students and my low students because I spent most of my time with my “push” students (we’ve all been there). The pathways not only give students something specific to work on independently. But it also gives students a range of different learning styles. Students are able to watch videos, play games, create an activity or project, upload a FlipGrid video, practice worksheets with answer keys, etc.! The options are endless. Students find ownership in pathways. Students choose the skills they need help on and can work on the pathways at any point, anywhere. Students work through the pathways and make their own decisions. For example, I have student who does much better watching the videos and then working on practice worksheets with answer keys. She becomes her own teacher and checks her work after completing a few problems. When she feels she is ready to move, she does! If she does not feel ready, she continues to use the resources and problem solve until she is ready to test out. Having students decide when they are ready empowers them to take their learning more seriously. They WANT to change their color on MasteryConnect from yellow to green! They WANT to say they did it themselves! Allowing students the ability to make mistakes and CHOOSE their own best way to fix them has made a huge different in my classroom. SECRET #6: It is important to be clear about directions on the pathway, without being too wordy. The first round of pathways I made looked like they belonged to adults, not children. I had way too many directions and sections that it was intimidating for my students. I revised them to be simple and student-friendly and my students responded very well. At the end of the pathway, students take a quiz to check for mastery. These quizzes are about 5-10 questions depending on the skill. I also make sure to give a range of DOK (Depth of Knowledge) questions. I don’t want to give a child all DOK 3 questions. But definitely not all DOK 1 questions. I give some computation, some word problems, and usually one question that is pretty challenging. I set the mastery level 80% or higher depending on how many questions I have. Near mastery would be from 60-79% and not yet mastered would be 59% and lower. Since I upload these quizzes to MasteryConnect, the students see their score right away! If you do not use MasteryConnect there are other apps and websites that would allow students to instantly see their score. 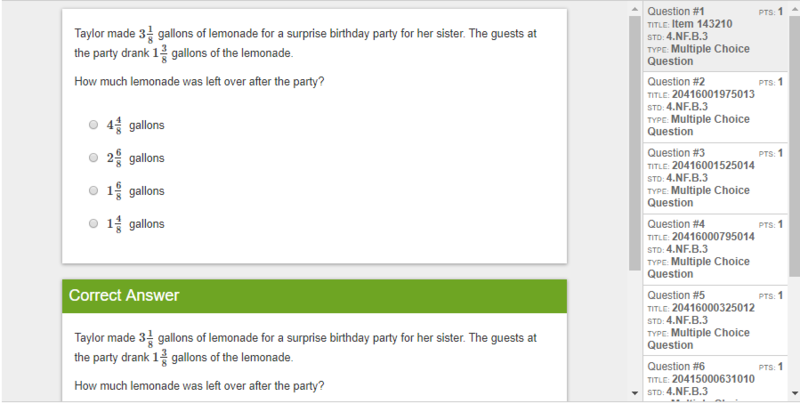 It is also great if students know which questions they missed right away and therefore can make corrections. I have students who reach mastery and still want to correct the one or two problems they missed. 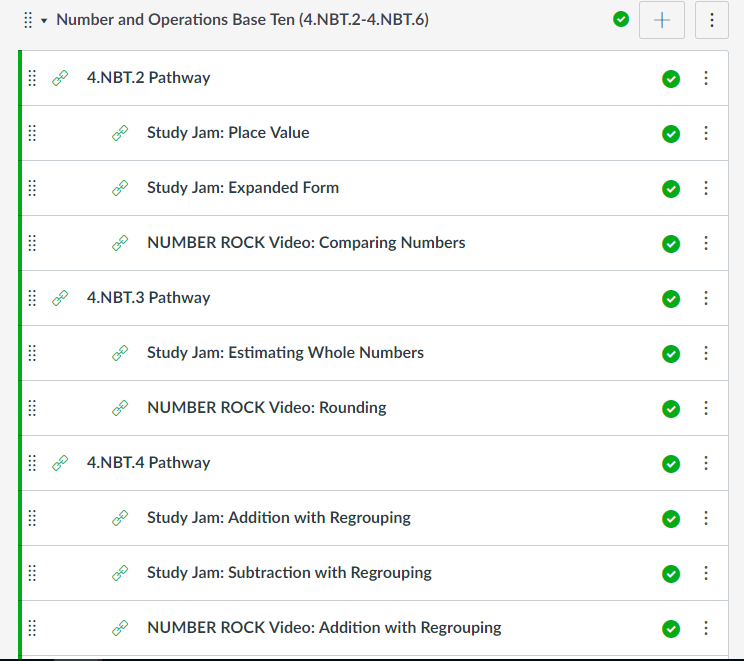 If they were near mastery, students will go back to the pathway to rewatch a video or practice a certain part of the worksheet/answer key so they can eventually change their color from yellow to green. Having a test-out quiz also holds students accountable. You can give grades in the gradebook for these quizzes being completed or corrected. Students enjoy “flipping” their color from red or yellow to green and it has become sort of a competition to see how many colors they can flip in a quarter. SECRET #7: Print a paper copy for students. Although it is a lot of paper it helps to see how students annotate the word problem and the work they show you. This also can be something you put a sticker or Mr. Sketch star on for students to take home to show their family. What I recommend is running 15-20 copies of each quiz and keep it in a file folder. Students can take one with permission when they are ready and you don’t have to run a copy during a small group. Buddy Tutors have been a great addition to my classroom. The students who have mastered all the current skills can apply to be a buddy tutor and create a business card of the skills they would be most confident in helping a student with. The students are really excited to help one another and it actually helps you out, too! They can run a small group or do 1:1 tutoring. I meet with the student first and give he or she the worksheet they will do with the student(s) and go over which strategies to teach and how to gradually release students on becoming more independent and not doing all the work for them. Buddy tutoring ends up becoming a great mini-system in my classroom that helps reinforce skills for students who are struggling. Plus, the students love working together! SECRET #8: Make sure these students know this is not “down time” but are “hired” to get the job done! Without clear direction, students may not completely understand the purpose of being a buddy tutor.